Despite their crucial importance in supporting local and regional fisheries and food security and the important link they play in maintaining ecosystems and food webs, we still don’t know a lot about the big fin reef squid. One key aspect is determining where their spawning habitats are and when they spawn. This biological information is a big player in informing conservation and sustainable harvest plans by telling us what areas may be important to reduce fishing and habitat impacts. 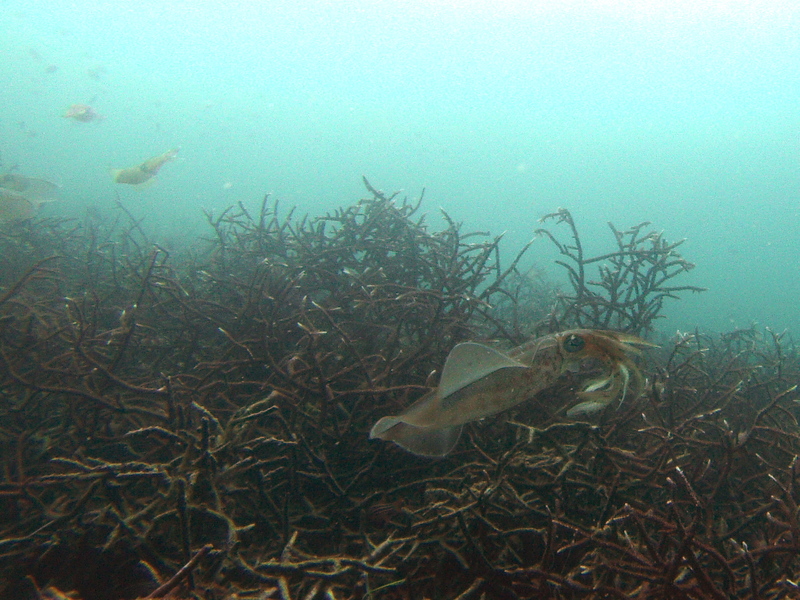 However, these squid occur in two oceans and two seas, which is a lot of ground to cover! Which is where you come in. Please let me know if you have seen a squid or their eggs on your travels undersea! Any information would be a tremendous increase in what we know about their reproductive characteristics! Thanks so much! Please fill in as much information as you can, but any information you might have is much appreciated! If you have photos that you would like to share, please email me at scheng87@gmail.com!